Officer Norris, your life was taken for one of the stupidest reasons. The fate of your murderer is not listed here, but we can only hope he faced true justice for his/her crimes, if not in this life, then in the next. God Bless you, Brother and may your eternal rest be in peace. 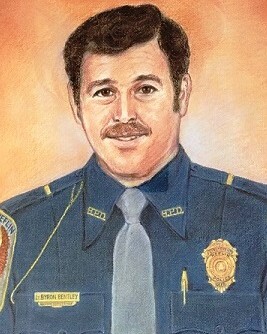 Your heroism and service is honored today, the thirty-first anniversary of your death. Your memory lives and you continue to inspire. Thank you for your service. My cherished son Larry Lasater was a fellow police officer who was murdered in the line of duty on April 24, 2005 while serving as a Pittsburg, CA police officer. On today, the 29th anniversary of your murder, I would just like to say thank you for your service and sacrifice for the citizens of Philadelphia. And to your family and loved ones, I wish to extend my deepest sympathy. Officer Norris your work on this Earth as we know it is now done. You are in God's Hands now brother. May you rest in peace. Thankyou sir for your service and sacrifice. You are a hero who will not be forgotten. God Bless you, Officer Norris. You are not forgotten and are in my daily prayers. Thank you for all your dedication and sacrifices in protecting the people of Philly. God Bless you as you cntinue to sleep in God's Love.